COLUMBIA, Mo. – Childhood obesity has increased dramatically throughout the past 40 years and has been tied to many health problems. 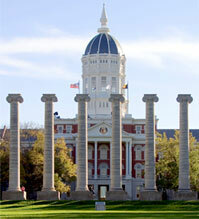 Now, a University of Missouri researcher has found that children’s weight is associated with their math performance. “The findings illustrate the complex relationships among children’s weight, social and emotional well-being, academics and time,” said Sara Gable, associate professor in the MU Department of Nutrition and Exercise Physiology, who led the study. Gable looked at more than 6,250 children from the Early Childhood Longitudinal Study-Kindergarten Cohort, a nationally representative sample. The children were followed from the time they started kindergarten through fifth grade. At five points in time, parents provided information about their families, teachers reported on the children’s interpersonal skills and emotional well-being, and children were weighed and measured; they also took academic tests. When compared with children who were never obese, boys and girls whose obesity persisted from the start of kindergarten through fifth grade performed worse on the math tests, starting in first grade. Their lower performance continued through fifth grade. For boys whose obesity emerged later—in third or fifth grade—no such differences were found. For girls who became obese later, poorer math performance was temporary. In addition, for girls who were persistently obese, having fewer social skills explained some part of their poorer math performance. For both boys and girls who were persistently obese, feeling sadder, lonelier and more anxious also explained some of their poorer math performance. “Our study suggests that childhood obesity, especially obesity that persists throughout the elementary grades, can harm children’s social and emotional well-being and academic performance,” Gable said. The study, “Boys’ and Girls’ Weight Status and Math Performance from Kindergarten Entry through Fifth Grade: A Mediated Analysis,” was published in the journal Child Development. The study was supported by the United States Department of Agriculture’s Economic Research Service through its Food Assistance and Nutrition Research Program. Researchers from the University of Vermont and the University of California, Los Angeles assisted Gable with the study. The Department of Nutrition and Exercise Physiology is jointly administered by MU’s College of Agriculture, Food and Natural Resources, College of Human Environmental Sciences and School of Medicine. In addition to her teaching and research duties, Gable is a nutrition and exercise physiology specialist for MU Extension.